(Updated at 4 p.m.) JJ Linser and Jack Linkous have a dream. 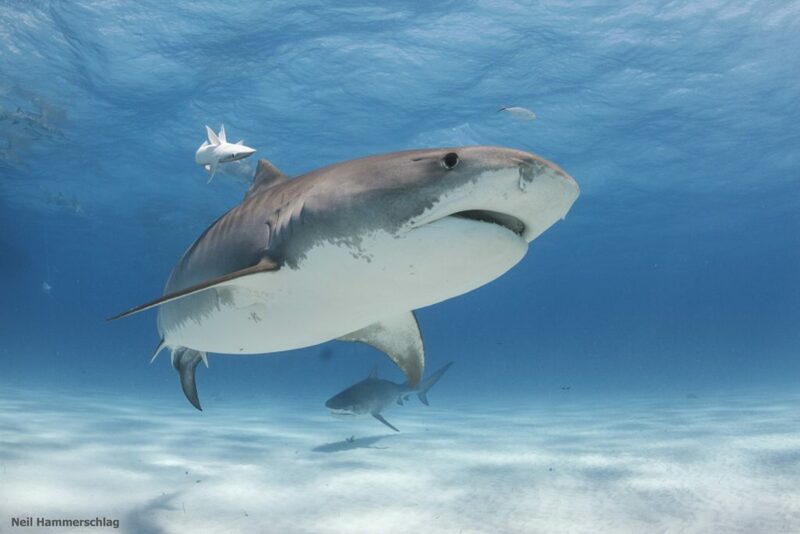 They want to save sharks, and they want to do it with artificial intelligence. They are the co-founders of L2Platforms, a startup in Arlington founded earlier this year, that aims to use an AI program to track boat movements and identify suspicious behavior. Right now, Linkous says the only way to really catch illegal shark fishing is through random searches. Linkous says the aim of L2Platforms is to help direct those searches and make them a little less random. Using publically available data sources, L2Platforms should be able to model where illegal fishing takes places. Linser said all of this data is fed into an AI that continually learns from these events and builds a map of suspicious activity. It’s a lot of data, there might be 100,000 suspicious events registered drawn from billions of points of data, but the AI will refine those events down to ones where it is 90 percent sure something illegal is occurring. Because of the scale of the data being collected and processed, Linser and Linkous say they want to start small. The development of the AI technology behind L2Platforms is largely drawn from Linser and Linkous’s experience working in the defense industry. The pair is currently working with Neil Hammerschlag, director of the Shark Research & Conservation Program (SRC) at The University of Miami. Linser said L2Platforms is currently looking at working with conservation foundations for funding, then possibly looking at government grants starting in 2019. If they can secure funding, Linser says they hope to hire a small team of engineers over the next year. Linser and Linkous, who met while walking their dogs, are both Arlington residents. They are working from home for now, but say they are currently looking for an office somewhere along a Metro corridor in Arlington, specifically because of the technical talent in the area.